We all want to become greener at some point in our lives. Sometimes, we just don’t know how we can achieve it or how easy it can be to do something good for our planet. The truth is that there are plenty of ways to adopt a greener lifestyle. However, you also want to make sure that it can help you live your life in an easier way. Do you think you don’t have an option to accomplish both? Think twice – the new Speedway Mini IV is about to be launched in Indonesia. When you live in Jakarta, Bali or Dili, you know how chaotic traffic can be. And while this is the rule during the entire year, it seems to get worse during summer, especially in Bali. After all, with so many people being attracted by the beautiful landscapes and beaches in Bali, traffic can easily be worse. And if your commute usually takes one hour, it can easily take you another one to get to the same place. So, the new Speedway Mini IV is here to help you change your life for the better and, at the same time, become greener and doing the best for our planet. In case you live in Indonesia, you’ll be glad to know that you now have the option to buy this beautiful and practical e-scooter. 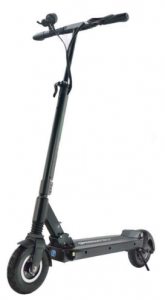 One of the best things about the Speedway Mini IV is that it is extremely versatile. After all, you can ride it to go to work, when you want to take a walk near the beach, or to simply do some errands. All these trips could easily take you hours if you were about to drive your own car. However, with the Speedway Mini IV, you can make all your errands quickly and efficiently, and you will still have plenty of time to spend with your family and friends. The reality is that driving an e-scooter is something really unique. In case you never tried it before, we urge you that you test one because you’re going to love it. So, besides making your errands and going to work, you can also use the Speedway Mini IV for your personal enjoyment. 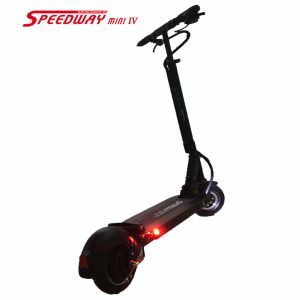 In case you were already wondering about buying a new electric scooter and you didn’t know which model to choose, you should definitely consider the Speedway Mini IV. After all, since this new model is about to be released in Indonesia, you can take the opportunity and grab a special discount if you pre-order the Speedway Mini IV up until 15th of July of 2018. In case you are interested in this unique opportunity, you’ll also be glad to know that you can choose between two different models. The first Speedway Mini IV model – the Basic, has a 40Km/h max speed and it allows you to drive for 30 km per battery charge. In case you’re looking for a more autonomous model, you should try the Pro version of the Speedway Mini IV. The Pro allows you to drive up to 45 Km/h and it allows you to drive for at least 40 km of distance.